I checked the girl puppet and it is in color. Originally I found the old look better, but now I begin to like the colors. That is really odd. She was supposed to be color in the final release. I guess we released it with a bug? We have a closer look for her, which is why she appears in color. 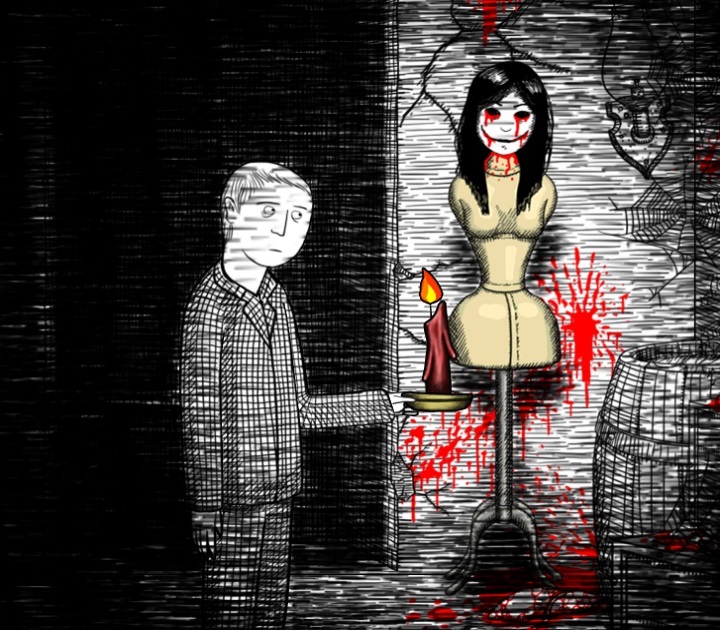 Hi Matt, I noticed that there's already version 2.3 of Neverending Nightmares! Are you planning to release a DRM-free build for Humble Store? Neverending Nightmares 2.3 is OUYA only. The only reason it exists is they make us bump up a 0.1 with every submission. The bug fixes were all related to their store and ForgeTV support. The latest PC version is still 2.1 and is available on both Steam, the Humble Store, and GoG. Okay, thank you for the answer, Matt.